Hanoi (VNA) – Indonesian President Joko Widodo on April 1 inaugurated three special economic zones (SEZs) covering 2,200 ha of land in the provinces of East Kalimantan, North Sulawesi, and North Maluku in a bid to attract investment and spur economic growth in less-developed areas of the country. 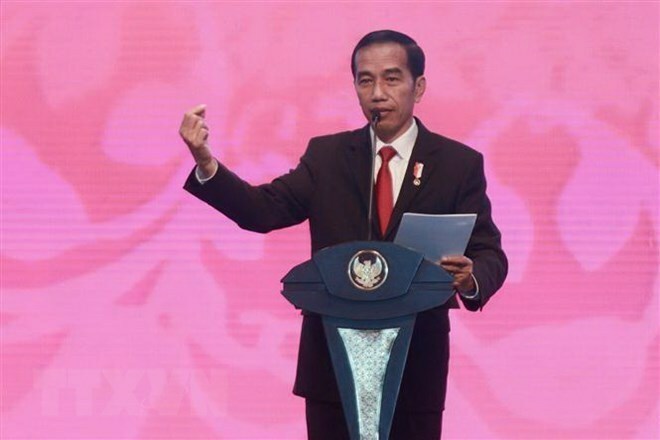 Speaking at the launching ceremony in Manado, North Sulawesi, President Widodo expressed his hope that the SEZs will promote manufacturing and other industries, thus enabling the country to export products with higher added values beyond raw materials. According to Indonesia’s Coordinating Ministry for Economic Affairs, the government aims to lure 110 trillion IDR (about 7.73 billion USD) into the three SEZs and create 120,000 new jobs by 2025. Those who invest in the SEZs will enjoy incentives related to import taxes, land, and recruitment.